This knife never gets the attention it deserves. In fact, most of the players I see consider it a perfect sidegrade. It has slipped by for some time now that this knife is quite possibly the second worst knife out there. I’ll outline why very briefly. The Kunai is PURELY a pubstomping weapon. The Your Eternal Reward is VASTLY superior to the Conniver’s Kunai for pubstomping. I think that’s pretty well documented. However, it literally outsources the point of the weapon. The problems don’t end here, though. The upside is useless. If you’re a decent Spy, then all the Kunai will do is make your post-stab play really sloppy. Any time you’d die with 125 health, you’ll die with 180 health. Conversely, you survive one less rocket, one less grenade pill, and much more. You die instantly now, but that isn’t the issue. Theoretically, that is okay. Shouldn’t be fighting anyhow. However, the upside is pathetic. A decaying health that extends to 180 health? Let’s do a little math on this point before we move on. 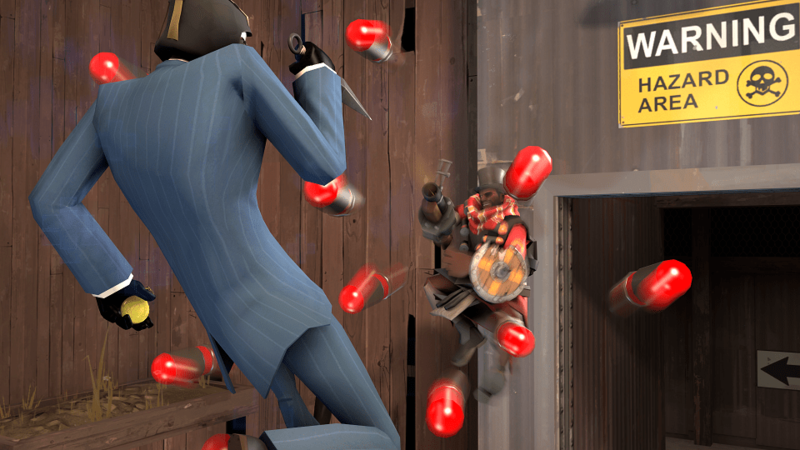 Compare the base health of the Spy class (125) to the Kunai health (60). You’ll see that, COMPARED TO STOCK, you lose 65 health. Now, compare your MAXIMUM health after a backstab. Compared to the default 125 health, you gain 55 health. Call me crazy, but ONE is a passive, constant down side. Shouldn’t the UPSIDE YOU MUST EARN outweigh the PASSIVE DOWNSIDE, or at LEAST break even? Not only that, but it’s a DECAYING overheal. Not only is the downside a permanent downside, AND the health reduction OUTWEIGHS the overheal, but the overheal decays. It speaks for itself. It’s NOT a worthwhile trade. Removing fire on backstab isn’t even a factor here, before it gets mentioned. That doesn’t even begin to cover the abundant weaknesses the weapon has. It’s not about dying to random spam, it’s not about being killed in general, actually. It’s about the upside being pathetic. Not only that, it’s outclassed for its ONE good role. So, the next time YOU use the Conniver’s Kunai, go ahead and count how many times you died because you had 60 health, and compare it to how many times you survived because of the overheal. I used to think the Kunai was at least decent. Now that I’ve looked at some numbers, it baffles me how I never saw it before. In conclusion, it’s a shame that the knife that, possibly encourages stealth the most due to almost completely removing combat as a feasible option, has such a cool design, and an interesting concept, is so poorly executed. The Kunai makes you less dependant on Medkits and helps you to get away from pyro chases because every backstab you get heals you. Yes, overheal decays, however if you backstab someone, consider him as your full health medkit. It’s also great for chainstabs and getting alive out of tricky situations. It’s great in combination with invisible watch and l’etranger – sure not really as efficent as Ambassador or Knife/Spy-Cicle when enemy is fully aware of you, but kinda fun if you just screw around. Correction, not only every backstab heal you, it removes mad milk, jarate, fire and stuff like that. If you are active, you get rewarded. If you aren’t, you can’t get put your upside to a good use. It’s upside isn’t just a decaying 180 health on kill. It’s full health on kill and removal of debuffs on kill. I think the argument is that you could get all that, all the while keeping your normal health, by using another knife and not having that huge risk in the first place. Or you can just use the Dead Ringer. The only real risk there is spam. If you are spotted, you are usually screwed anyway. However, if you have the kunai, you actually have MORE chances to escape, since the unaware potatoes in your way can not only act as a free frag before you die, but actually as a large medkit to increase your chances to escape. How I see it: a training weapon. Use it for a while for the Invis Watch and you’ll learn how to play Spy as he was meant to. Also chainstabs.